2012 Pro Bowl – What Steelers Get the Invite to Hawaii? The rosters and players for the 2012 Pro Bowl will be announced tonight. The game will be in Hawaii a week before the Super Bowl, January 29th. Of course if the Steelers reach their goal of the Super Bowl, it won’t matter as their players won’t play in the game. 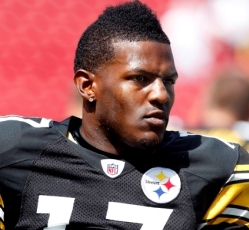 The team should have a couple players on the AFC side, with WR Mike Wallace getting a nod with 71 catches so far with 8 touchdowns and 1182 yards. It will be interesting to see if NFL bad boy James Harrison, who has 9 sacks, gets a nod. He deserves it, and it would be a surprise if he isn’t invited to play in the contest. Despite missing five games, LaMarr Woodley has 9 sacks and also should get plenty of consideration for a trip to the Pro Bowl. I have mixed feelings about Troy Polamalu making the roster this season. He has just one pick, and while he’s still an impact player, he’s not even close to having the season he did last year when he was the NFL Defensive Player of the Year. So who do you think should make it for the Steelers? Video: Will The Steelers Keep Just Four WR’s?